Combining a grey wool double breasted blazer and charcoal check wool dress pants is a guaranteed way to infuse your styling routine with some manly sophistication. You can follow a more casual route in the footwear department by finishing off with a pair of dark brown leather double monks. 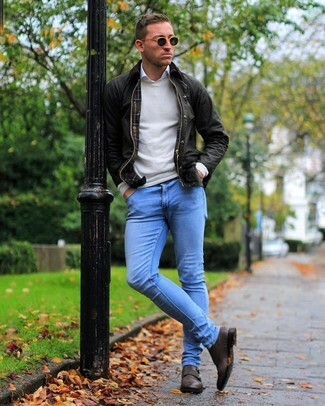 If you're looking for a casual yet sharp look, dress in a dark brown barn jacket and light blue skinny jeans. Both garments are totally comfortable and will look great together. 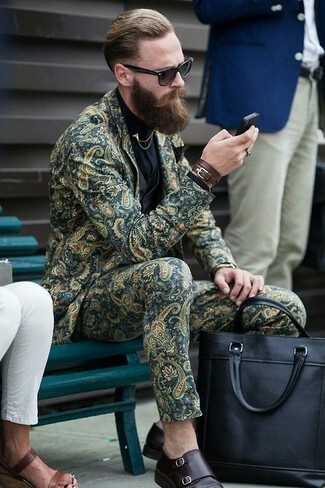 And if you want to instantly up the style ante of your look with one piece, enter Mezlan rosales double monk strap shoe from Nordstrom into the equation. For a nothing less than incredibly stylish look, go for a grey check wool three piece suit and a white dress shirt. 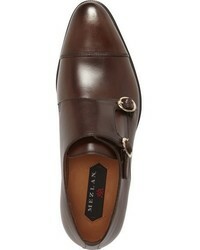 Rock a pair of Mezlan rosales double monk strap shoe for a more relaxed feel. 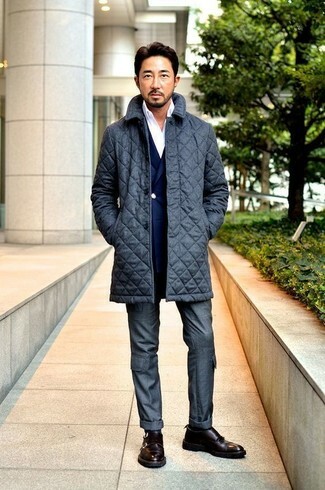 For a nothing less than incredibly stylish ensemble, marry a charcoal quilted overcoat with charcoal dress pants. 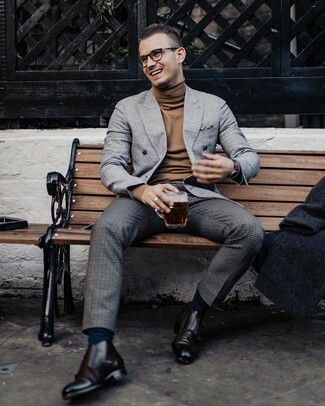 For something more on the daring side to complement this look, choose a pair of Mezlan rosales double monk strap shoe from Nordstrom. Rock a charcoal wool three piece suit with a white dress shirt for a sharp, fashionable look. 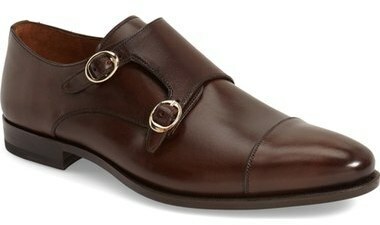 Dark brown leather double monks will deliver a more relaxed feel to your look. If you're looking for a casual yet on-trend ensemble, go for an olive barn jacket and charcoal jeans. Both items are totally comfortable and will look great paired together. 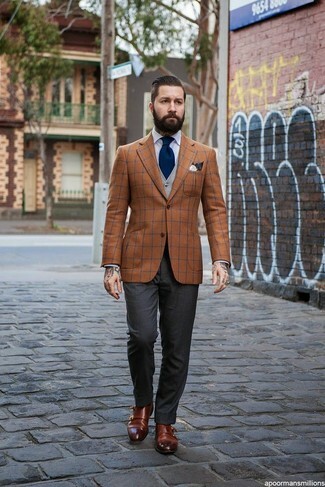 Elevate this look with Mezlan rosales double monk strap shoe. If you're hunting for a casual yet sharp look, pair an olive paisley blazer with olive paisley chinos. Both items are totally comfortable and will look great paired together. 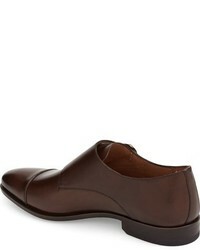 Kick up the cool of your getup by completing it with Mezlan rosales double monk strap shoe from Nordstrom. For a nothing less than incredibly stylish ensemble, consider pairing a camel overcoat with a black suit. 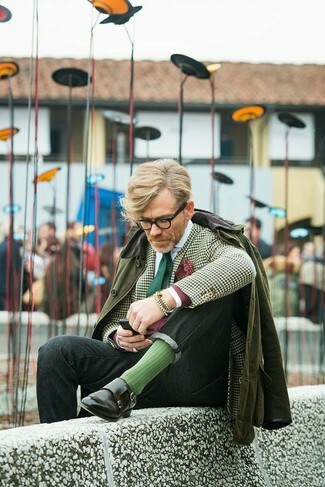 For something more on the daring side to round off this outfit, choose a pair of Mezlan rosales double monk strap shoe. For a nothing less than incredibly stylish ensemble, consider pairing a tobacco plaid blazer with charcoal dress pants. 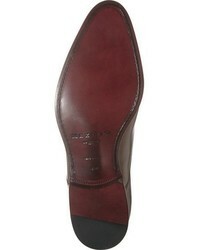 When it comes to footwear, this look pairs perfectly with Mezlan rosales double monk strap shoe from Nordstrom.